Last month we featured Niche's Muralla pendant, a sleeker, more playful approach to our traditional glass lighting. This month, we are featuring the Marquise pendant, a dynamic diamond-shaped silhouette. Available in three sizes, this versatile light can be clustered in multiples to create stunning visual arrangements or individually hung in any setting. We first debuted this pendant at the Architectural Digest Design Show last spring. Since then, we couldn't be happier with the response we've received on these three pendants. We’ve had designers around the globe source these pendants for their projects and we look forward to seeing them in yours. The Marquise Series is available in an array of glass color options including colored Optique glass in Crystal, Gray, Amber, Condesa, and Fig, and our traditional smooth glass in best-selling colors such as Crystal and Gray. Want to learn more about our newest pendant? 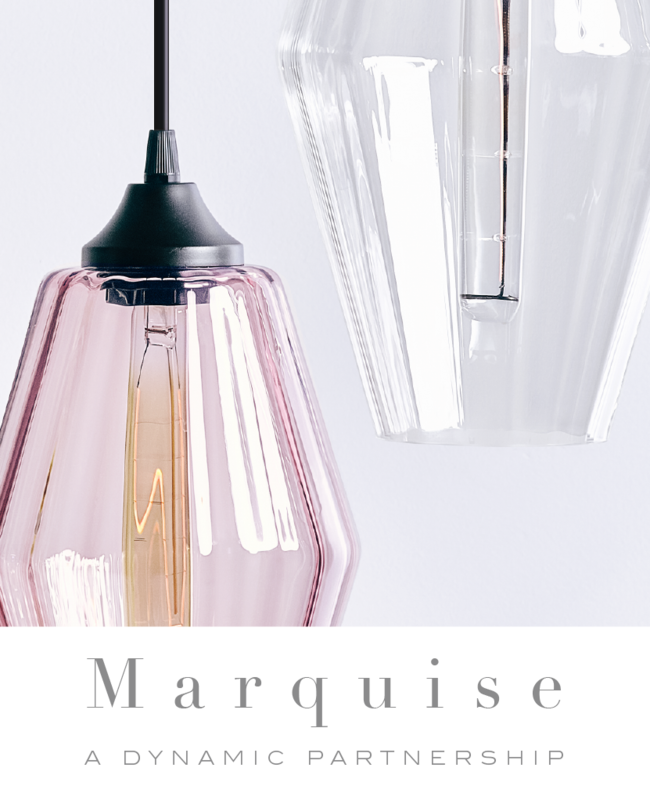 Get the inspirational Marquise Product Guide for more pendant specifications and installation ideas. With it, you'll receive the tear sheet and CAD models to help you design your next space.